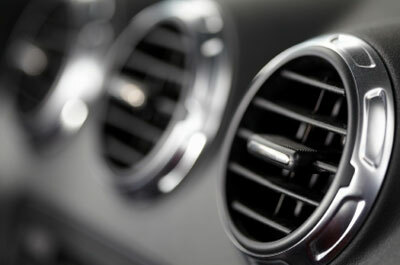 Rivercity Car Care provides expert car air conditioning services throughout the South Brisbane area. Our qualified technicians will come to your home or workplace to service or repair your air conditioning system on-location, while you wait. Some complex repairs may be conducted off-site at a nearby workshop but your vehicle will be returned by 5pm. 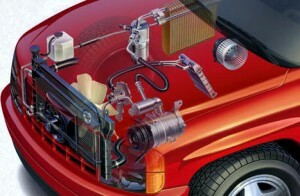 Effective car air conditioning in South Brisbane will ensure you travel in comfort throughout the year. Air conditioning equipment should be installed and serviced by professionals to ensure manufacturer specifications are strictly implemented. Our expert technicians, based in the Brisbane metropolitan area, will know how to solve your vehicle’s air conditioning problems. Car air conditioning in South Brisbane is vital during the summer months and we aim to keep you cool even when the temperature rises. Rivercity Car Care technicians will use the latest installation equipment to check for leaks and assess damage. We’ll identify the right new or spare parts to fix your system and get you back on the road. Regular servicing of your vehicle’s air conditioning is vital to ensure it works efficiently, especially during Brisbane’s warm summer months. A well-maintained system will result in better fuel economy, and reduced wear and tear of the air conditioning components in your vehicle. Irregular servicing may lead to malfunctioning components such as compressor failure and sub-optimum performance. Rivercity Car Care technicians will use microprocessor-controlled automatic equipment to flush impurities, compressor oil and old refrigerant (gas) from the system. It will then be filled with fresh compressor oil and HFC-134A refrigerant to ensure it functions effectively. Our car air conditioning service in Brisbane delivers high quality results for all our customers, contact us today to service your car air conditioning in Brisbane.